With Sales, Account Management and Business knowledge from years in demanding roles, Leanne’s goal was to move into real estate. And after many years in the area of communication and negotiation plus a love for the Sunshine Coast, 2015 saw her launch her real estate career. 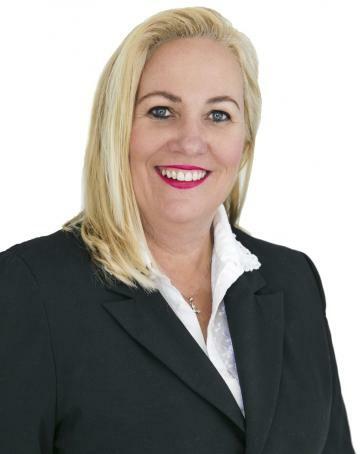 After buying and selling a few properties herself in Mooloolaba, Kawana Island and Buddina, she really enjoyed the excitement of looking for and purchasing the right property and knew that she wanted to help others do the same. Leanne sees that getting your property ready for market and then finding the right buyer as such a rewarding experience and her warmth and dedication makes the whole process as stress free and enjoyable as possible. She prides herself on doing this with integrity and humour. With many years’ experience in advertising, she knows the importance of marketing and getting everything spot on right from the start to gain the best exposure with more prospects and therefore achieving the right outcome for all involved. Leanne worked for Val Morgan Cinema Advertising for 28 years commencing as a Sales Consultant, then became a Supervisor, Sales Manager, State Manager then National Exhibitor Relations Manager where she travelled interstate frequently building relationships with the Cinema Operators as well as attending Annual Movie Conventions in Las Vegas and rubbing shoulders with the stars. She then had her own Consulting Business in Brisbane City for a couple of years before moving to Mooloolaba on the Sunshine Coast in 2001 just prior to giving birth to her son Isaac in Jan 2002 and then daughter Tayla in 2003. Leanne also serves on the Welcome Team as a Volunteer / Leader at her local Church where she greets people with a friendly smile and happy positive manner. She knows that a big smile and a friendly word or two can certainly make a person’s day! Leanne is an honest and genuine person so people feel comfortable and can easily trust her with their biggest assets and purchases. She is very professional but also is very approachable with an easy going nature and her main aim is to work hard to achieve great results with great communication every step of the way! If you are selling, she would find it a privilege to be your Agent if given the opportunity. She welcomes contact any time so she can view your property, give helpful tips and present you with an honest and up to date appraisal of your property so you can make an informed decision, and move forward with her with confidence. Rendered with lovely gardens and white picket fence Large private park behind and exclusive gate entrance; Easy walk to Beach, River/La Balsa & Point Cartwright; High ceilings with exposed beams - more spacious feel ; Private north facing tranquil pool in green leafy setting; Large and spacious kitchen offering loads of storage ; Solid hardwood home with timber flooring throughout; Located in the Mountain Creek High School Zone ; 3 pleasant and private places to sit, relax and enjoy! This stylish property set on 4470 square metres offers a great lifestyle with huge deck overlooking pool, spa and the massive front yard. When you live here you can enjoy the best of both worlds from this pretty, peaceful and private country retreat on over an acre of beautiful land or drive to the beach and enjoy the great coastal lifestyle! Also it offers quick access to the Bruce Highway and you can be at the Brisbane Airport in approximately one Hour. Call Leanne now to arrange a private inspection as this is the best value ground floor apartment for its size and you'll love the layout and privacy. No holiday letting and almost 80% owner occupiers, that speaks for itself so if you are after a great value very large and spacious ground floor unit this is the one! It's only a 10 minute walk down to the lake and a few minutes drive to the Beach. Wurtulla Shopping Village is an easy walk around the corner and has everything from the IGA, Butcher, Bakery, Bottle Shop, Newsagent, Medical, Chemist, Restaurant and more and there is a bigger Shopping Centre only a few minutes drive away as well. The New Hospital and Health Precinct is 5 minutes drive and transport is only a short walk away as well with plenty of schools in the area. CALLING ALL SMART & SAVVY INVESTORS - THIS IS THE ONE!! Entertainers Dream Home with Pool close to everything! It has an amazing Gazebo area beside the pool as well as much more undercover with a Pergola area making it an entertainers dream! This home is priced to sell and has it all together with 4 zoned ducted air-conditioning so dont miss out on this little beauty with the lo,t call Leanne or call into the first open Saturday from 11am til 11.45 as I don't think this one will be on the market for long!